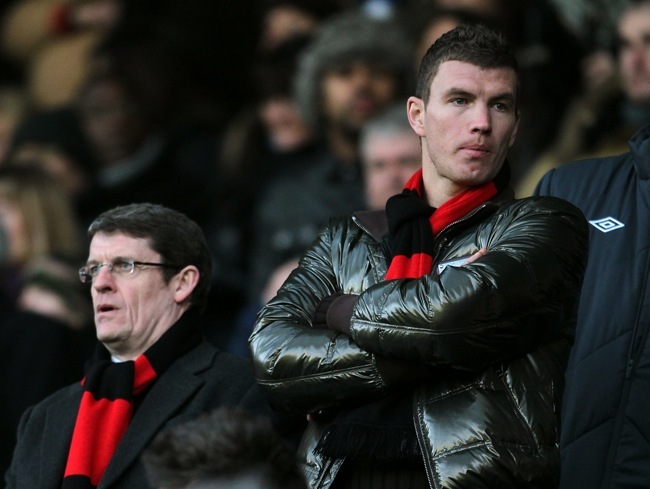 Whatever his fashion sense (we all know Eastern Europeans love a bit of stonewashed denim), Dzeko’s a brilliant signing for City and a significant upgrade on the likes of Emmanuel Adebayor and Jo. He could strike up a formidable partnership with Carlos Tevez. Looks like a square-stitched bin liner to me. 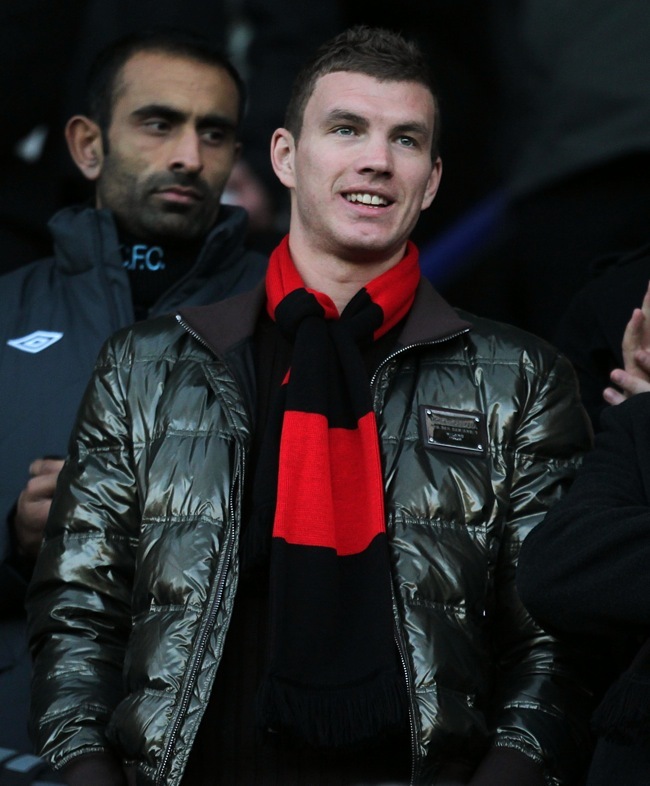 Which one’s Dzeko? Seriously, can’t wait to see him alongside Carlos and Silva……………. 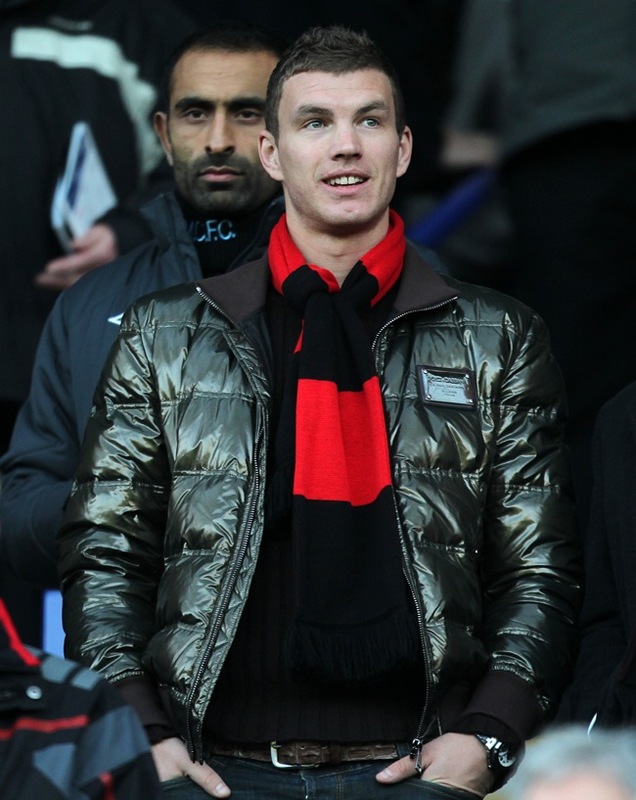 Personally, I like the dodgy jacket, cant wait to see Edin pull on the shirt though and wish him good luck on his debut against Wolves. Andrew: city’s away kit is traditionally red and black. City had a tribute to neil young, arguably their most important goal scorer ever, who has terminal cancer, by wearing the scarves for him. He scored the winning goal for us in the 1976 FA cup final. So yeah, i think people will give him a break for wearing red. That last picture is scaring me. Who could you trust in that picture, the four men look like baddies from James Bond or something.